The January basketball rankings are out for the Alberta High Schools Athletic Association, and a number of local teams have made the cut. The Magrath Pandas earned the No. 4 ranking in 4A girls, as the Raymond Comets are in at No. 7. Raymond leads the Southern Alberta High School Basketball league with a 7-0 record, while Magrath sits at 6-0. Magrath earned league wins with an 82-70 victory last Wednesday over Medicine Hat and an 81-56 triumph Friday over the LCI Clippers. Montana Berezay scored 23 to lead Magrath over Medicine Hat, while Jenna Taylor (15), Ellie Wilde (14), Lucy Wilde (12) and Lauren Payne (12) also hit double figures. Magrath won the JV game as well, 57-45, as Macie Wocknitz scored 15, Carly Blackmore had 14 and Brooke Barfuss added 12. Against the Clippers, Payne led the way with 21, as Lucy Wilde added 15 and Berezay and Taylor scored 11 and 10 points, respectively. Magrath fell 37-35 in a defensive battle in the JV tilt, as Wocknitz was the only Panda in double digits, with 10 points. 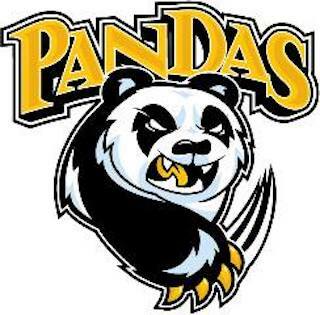 The Pandas hit the road Saturday for a 5 p.m. game in Medicine Hat. Raymond’s recent league play included a 67-65 win last Wednesday over the Clippers, and an 80-56 win on Saturday over W.R. Myers. Abby Jensen’s 14 led the way against the Clippers, as Saige Gibb and Kyla Bohne added 13 each. Taylor Graves had 11 and Kelby Terry added 10. LCI won the JV game 51-44, as Jensyn Heggie scored 11 for the Comets, while Bella Zaremba and Mataya Francis added 10 each. Against Taber, Terry’s 19 points led the way, while Taylor Ralph scored 17, Jensen chipped in with 12 and Gibb added 10. The JV game also went Raymond’s way, 63-38, as Francis scored 17, Heggie added 13 and Zaremba poured in 12. Raymond’s next game is Saturday at home against LCI at 5 p.m.
Raymond’s boys team, which carries a 5-2 record in league play, has earned a honourable mention in the 4A boys rankings. The Comets earned two big league wins recently, as Raymond defeated Catholic Central 113-95 on Friday, and then earned a 110-91 win Saturday over Winston Churchill. Boston Harker and Shae Gibb led the way with 17 points each against the Cougars, as Brady Baines (15), Jeter Heggie (14), Jaxon West (13), Tanner Salmon (13), Payson Hill (12) and Liam Davison (10) all scored in double digits. Against the Bulldogs, Davison had 21 and Gibb collected 20. Harker (18), Heggie (14), Baines (14) and Salmon (12) all helped pace Raymond’s balanced attack. In the JV games, Raymond fell 55-51 to CCH, despite 11-point efforts from both Konnor Kanyo and West James. Izaak Long added 10. Raymond beat Churchill 74-50 behind Tyreese Russell’s 14 points. James added 13 and Josh Runquist had 10. The Comets host 6-0 Cardston on Friday night at 8 p.m., and then host the LCI Rams Saturday at 7 p.m.
Magrath is still seeking its first league win, as the Zeniths fell 88-74 last Wednesday against the Rams. Cody Tollestrup had 17 in the loss, Mason Stock added 16 and Levi Gruninger put up 13. The Zeniths also dropped the JV game, 75-62, as Kobe Thomson led Magrath with 16. Chayse Harris had 12 and Mac Strong added 10. Magrath hosts CCH Friday at 8 p.m. and heads to Medicine Hat for a Saturday game at 7 p.m. The Stirling Lakers hold the No. 1 spot in both the 1A boys and 1A girls rankings, as the boys lead the Deep South Basketball League with a 3-1 record. The girls are also in first place by virtue of the team’s 6-0 record. Last Wednesday, the boys team dropped a 79-71 decision to Immanuel Christian, despite a 29-point effort from Orin Smith. Ty Mazutinec had 21. Stirling won the JV boys game 64-45, behind Hunter Michelson’s 14 points. Ryder Nelson added 13 and Parker Silito had 10. The league is now on a break until February.